Discussion in 'Video Games and Technology' started by pinoy78, Mar 8, 2018. I still say Ken is a given considering the ease of this Echo status. Yeah Ken's a shoe-in. I feel like Shadow would be an easy echo too tbh. The thing that's really gonna make or break Vergeben's leak is that "Minecraft representation" he mentioned, be it an assist/stage/fighter/etc. That's just out of left field enough, everything else he's said is pretty predictable imo. I still don't believe in the not too many newcomers thing. Correct me if I'm wrong but didn't Sakurai say the same thing about Sm4sh? And we ended up getting like less than 20 new characters (not counting Lucina and Dark Pit). At the least in terms of newcomers I think Skull Kid, Isaac, Geno, A Gen 7 Pokemon and maybe a NES character and Banjo are happening. Yeah, if my predictions are right, we'll get Ken as an echo on the left and one more newcomer on the right (imo it'll be Incineroar). As far as I know, he never said that about Smash 4. It's kind of a first that he's said that at all. I swear I remember reading that somewhere. Guess I was wrong. You guys do know there's a back part of that box right? No fighters on the back? If yes then who knows how many there are! Well, I figured out that there's a pattern to the fighters; the left side has a group of nine fighters, then the next group of nine from Smash introduction order go on the right side, then back and forth until it ends with all the newcomers on the right side. 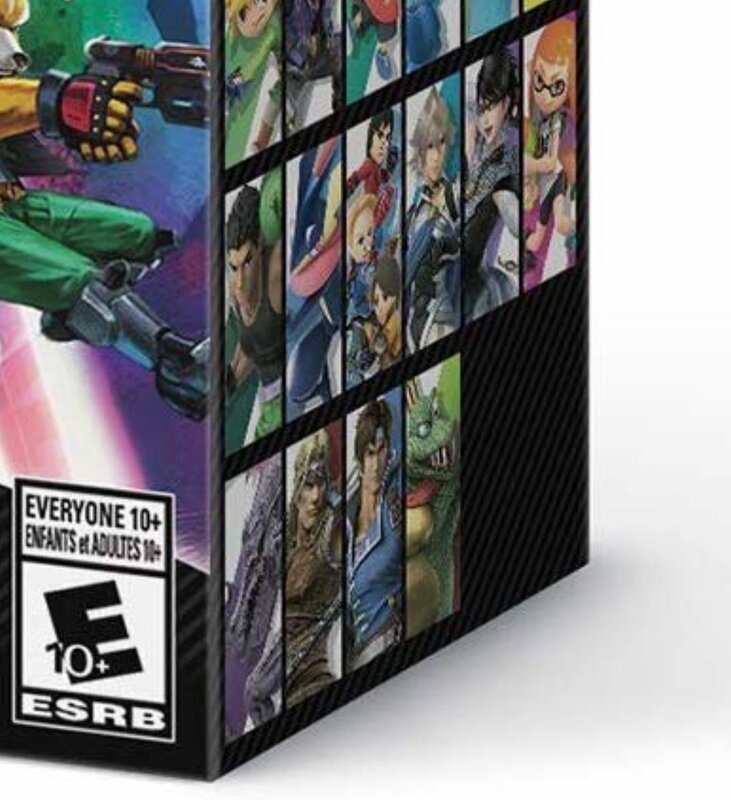 It all adds up perfectly for one slot on the left for an echo fighter (Shadow? Ken? Zack Fair?) and one on the right for a newcomer. They COULD readjust the size of the boxes but then the other side be a little off I'd think? That being said, never rule out DLC for this game; it has a lot of potential imo. Drop an echo fighter pack with one newcomer every so often and I think most people would be happy. I heard a name from someone recently as to who it might be, but it came from someone claiming to know it along with "confirming" other information that I had heard. They might just be trying to fool me into believing what they are saying so that I say it to mess with me and try to harm my credibility so I'm not going to say who they claim it is until I get responses back from my sources that point in a direction proving whether or not there is anything to what they are saying. I feel like this "2nd Square Enix character", if it's real, is going to be the first DLC. Although Vergeben has a very iffy track record as a leaker in general, being wrong several times; his Smash stuff while right has been really predictable. We'll see, though. yup. i know! Boxes have 5 sides, man!!! 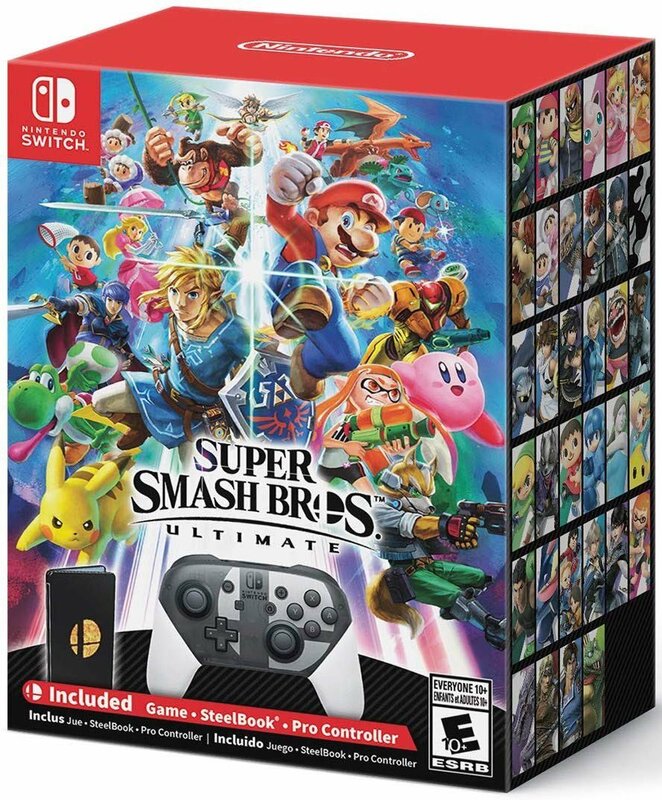 It'll be funny if this is the finalized box that they never updated with new character reveals. I think that's why he's..she's... V's using multiple sources now. i heard of the previous false leaks and i'm still %20 unsure of his leaks, but the history of the smash leaks is uncanny. did he ever update that "minecraft presense" bit? because THAT'S the one i'm very iffy about. He's only continued saying the same really, just that Minecraft will have some sort of rep but likely as a stage/assist. ah, okay. Personally, i think a boss battle against the minecraft characters would be neat. Yeah didn't mean to sound like a jerk there. That was my fault for typing it wrong. Sorry about that. You didn't. I was just trying to make a joke. this is my bad. I'd rather Minecraft not show up in Smash beyond maybe an assist trophy. Sure, it's still somehow popular now but I don't think it really has the lasting fame given how generic it really is beyond the Endermen and Ender Dragon. Then again, the same might have been said for Animal Crossing back when it first launched and now it's one of Nintendo's biggest franchises. Think a Creeper that pops up, runs towards the opponent and explodes would be a suitable inclusion to Smash and being an Assist Trophy.